Over the years, we have dedicated ourselves to deliver high-speed reliable and dedicated Internet access to the corporate world. With our newly launched Radical Wireless service, we are extending high-speed wireless broadband to our residential customers on a dedicated spectrum allocated to Coollink by the NCC. Accessing the Radical Wireless service has never been that easy! Choose one of the below plans, process the order on the online store and we will handle the rest, from site survey to installation. 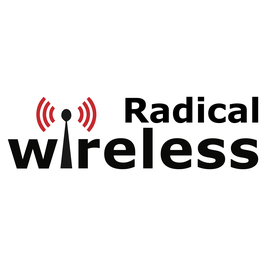 Radical Wireless is currently available in Abuja with limited coverage in some areas of Lagos, Port Harcourt and Kano. Night Free Browsing from 00:00 am to 06:00 am. Data used during the Night Free Browsing is not deducted from the data allowance. Unused Data will Rollover if you resubscribe to any Wireless plan before the expiration date. Once the data allowance is exhausted or has expired, simply buy a new Data Plan of your choice. Setup cost is estimated at NGN 30,000 + VAT.